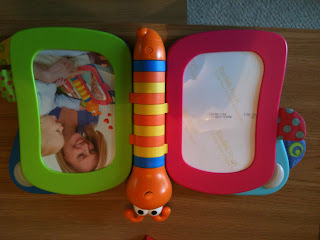 Kate G's latest Listography - see the Kate Takes 5 blog - is all about the challenge at Christmas in finding toys that won't be discarded after 5 minutes of receiving them and never played with again. She has asked all Parent Bloggers to provide their top five Christmas toys of all time and from this she will compile The Ultimate Top 10. Never again will a dud present be bought - my dad and I still talk about the time I was bought an American Football game called 'Superbowl' and it truly was rubbish. Those days are thankfully numbered. 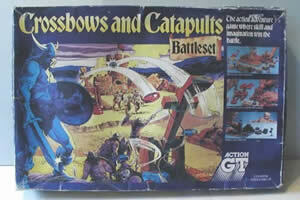 For every dud like ‘Superbowl’ there was a classic and, in the 80’s, this was ‘Crossbows and Catapults’. I still believed in ‘you know who’ (no, not Lord Voldemort, the one with the beard. No, not Hagrid – the one with the white beard. No, not Dumbledore – for goodness sake – FATHER CHRISTMAS!) at the time and I had asked him for this for Christmas. It got to Christmas Eve and – unbeknownst to me - my parents still hadn’t managed to find it as it was sold out everywhere. My dad still talks about the panic of not getting me something I really wanted in case I stopped believing. Luckily at about 4pm, at the now defunct Toy Kingdom in Brentwood, Essex (my hometown – you’d see how ‘TOWIE’ I was if you ever met me!) he found one and a little boy woke up very happy the next morning. I think it’s still around so if you have kids aged 5-10 (or 36), get it, I guarantee they will love it! 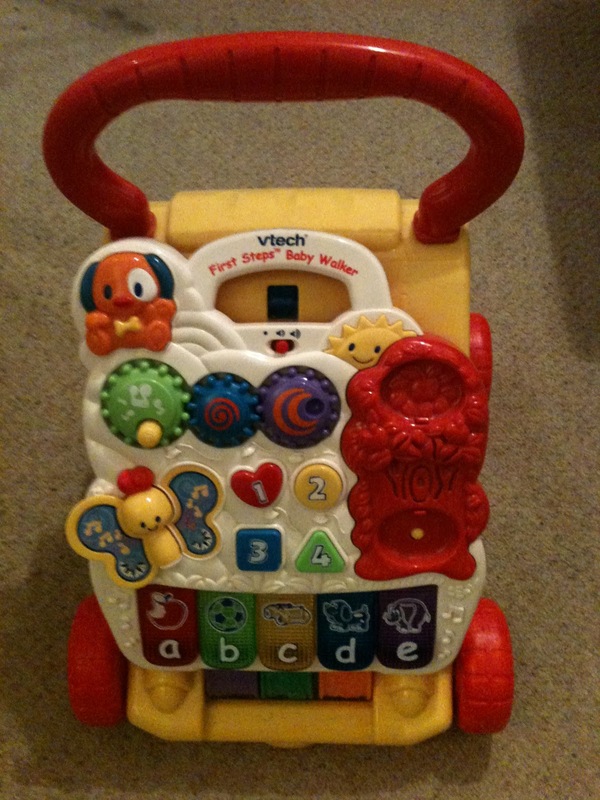 This was O’s main present for her first Christmas – she was 9 months old - and C has recently inherited it. I know it’s an obvious choice but every household with babies in ‘cruise mode’ should have one of these. It even has a 5 note piano on it and I have so far perfected the start of both ‘Row Row Row your boat’ and ‘Happy Birthday’ to play to the kids. For my next song I’m going to learn something more challenging – maybe ‘Supermassive Black Hole’ by Muse. These are brilliant. We got ours from Amazon. 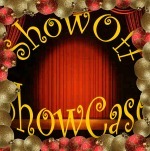 If you haven’t seen them, you put photos of you and your relatives in it and you all record a message for your child. When the page is turned the recorded message is read out by the person in the picture – genius! By the way, the picture below is not of my wife and one of my children, it came with the photo album. Also, if you end up buying it, before you call Trading Standards, please be aware that at no point do love hearts fly out of it. Now, this one might be a bit controversial but I am going to justify why I have included it. Before I go on, this is probably more suited to pre-Christmas than on the day – ‘but why?’ I hear you cry. Well, it includes lists such as ‘what you are going to buy other people for Christmas’ or ‘what you want for Christmas yourself’. So, what’s the point in this, surely it’s immediately out of date as soon as Christmas comes? Yes, but firstly, O. uses it throughout the year to doodle in. 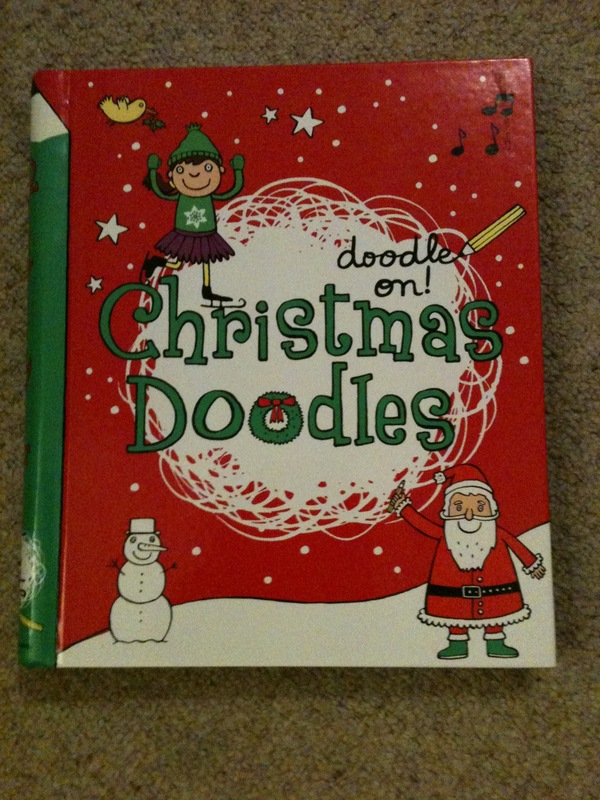 Secondly, in the run up to this Christmas she will use it again to get very excited about the big day (I’d estimate she’s only doodled in about half the book). Thirdly, Kate G’s brief for this Listography stated that her biggest challenge is ‘finding toys that won’t be discarded to the scrap heap in the playroom to sit unloved for at least a year until my next pre-Christmas clear out’ (you can tell I work in advertising can’t you?! It is drummed into us daily that we should always answer / refer back to the brief in our recommendation!) – there is no way this book can be part of that clear out, it is all about the excitement of pre-Christmas and throughout that period and if it doesn’t get used much this year, come November / December 2012 I promise it will be used extensively. This book lives and breathes Christmas, in fact, this book IS Christmas. I rest my case. I wasn’t going to take part in a Listography without a shameless plug for the new game I have recently invented – ‘musodad’s band name game’. 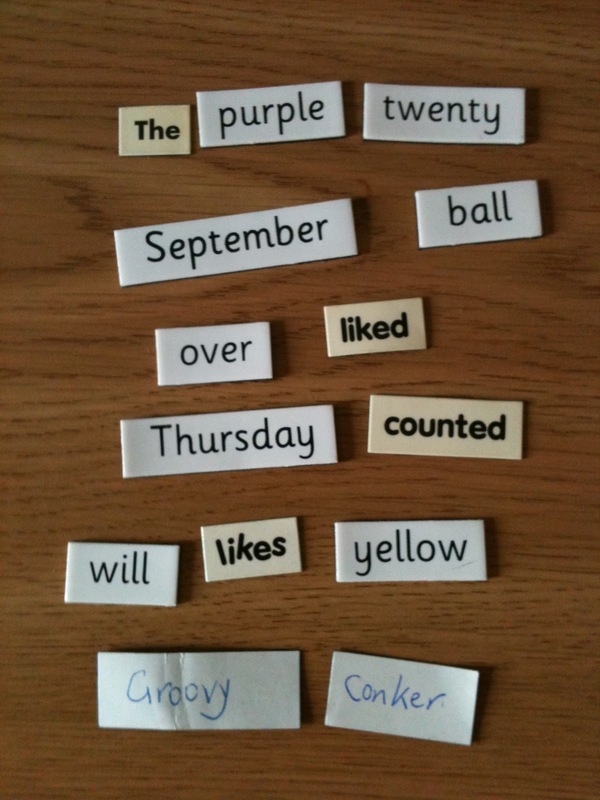 Without magnetic words this game wouldn’t be possible. I’d just like to add that I don’t receive any commission from magnetic words companies for pushing this product and I don’t own a magnetic word production factory so will never make any money out of my game, however, if you fancy playing it then you need them, end of story. Of course, it doesn’t end there, they are also good for reading, grammar, spelling etc but these are, of course, secondary to my game. For the rules to ‘musodad’s band name game’ please go here - musodad's band name game . Please do let me know what band names you and the kids come up with on Christmas Day. Below are some of ours. So, here endeth my Top 5. Join in by popping over to Kate’s blog – Kate Takes 5 – and adding your own. 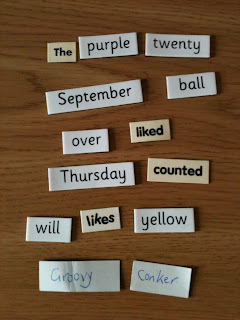 Let’s get those magnetic words to No. 1! Well it's certainly a list. A very eclectic list it has to be said..Love the Band Name Game!